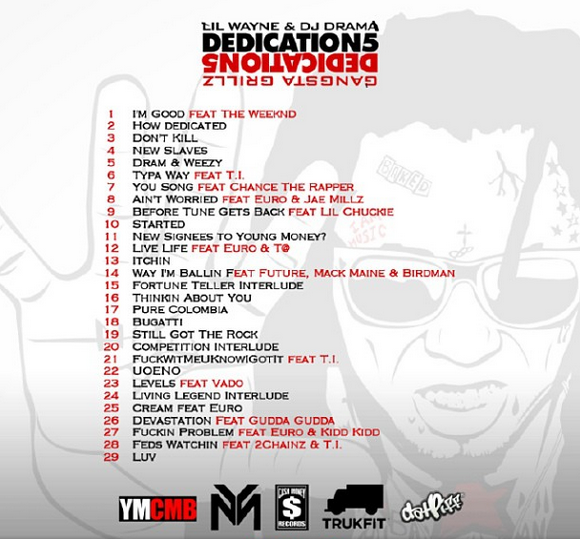 After a 36-hour delay, we've finally received the fifth instalment in Lil Wayne & DJ Drama's "Dedication" series. Features include The Weeknd, 2 Chainz, T.I., Chance The Rapper, Vado and the usual YMCMB suspects. How does the project compare to Weezy's previous work? 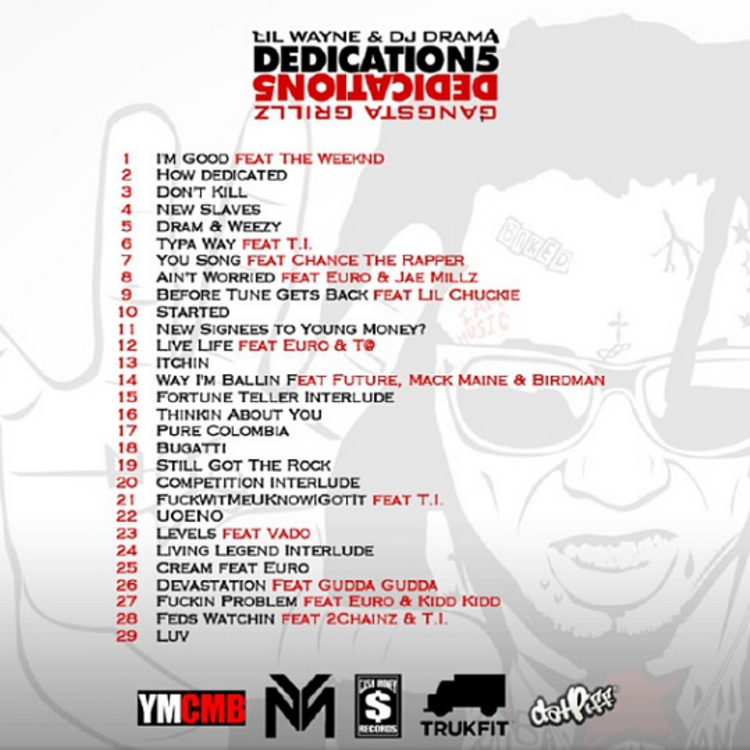 Check out Dedication 5, a new mixtape from Lil Wayne that saw the light of day on Sunday, September 1st, 2013. 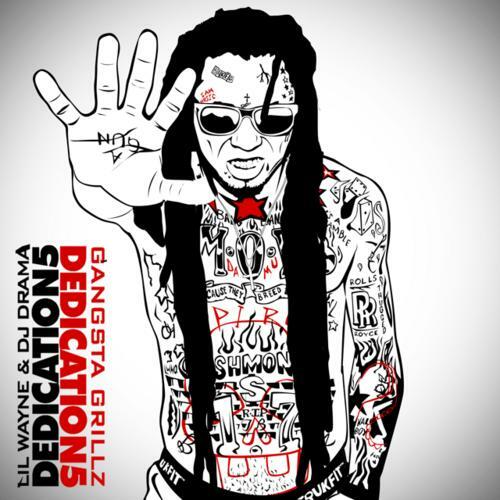 Lil Wayne's movement grows stronger with each new release, and Dedication 5 has further strengthened that fact. It's a solid addition to the commendable body of work Lil Wayne has been creating since stepping foot in the rap game, and we're definitely looking forward to what Lil Wayne has on deck. These artists are featured on the mixtape: The Weeknd, T.I., Chance The Rapper, Eruo, Jae Millz, Lil Chuckee, Euro, T@, Future, Mack Maine, Birdman, Vado, Gudda Gudda, Kidd Kidd, 2 Chainz. Check out Lil Wayne on I'm Good, featuring The Weeknd. If you dig this, visit Lil Wayne's profile for the latest info, news, songs, and mixtapes. Don't forget to follow Lil Wayne on Facebook and Twitter.